Craving bubble tea? You're in luck: a new business has opened its doors in the neighborhood. Called Bobaholics, the new arrival replaces Black Pearl at 1055 E. Brokaw Road, Suite 40 in North Valley. The menu offers two pages of tea options, from "classics" like jasmine milk tea or Thai tea made with roasted hickory root and sweet black tea, to cream matcha milk tea with sea salt. You can also design your own, choosing from flavors like lychee, coconut and taro and toppings like popping boba, coffee jelly and aloe vera. In addition to tea, there are smoothies, coffee and slushes to drink. And to eat, look for snacks like popcorn chicken, fish balls and potstickers. With a four-star rating out of 25 reviews on Yelp so far, Bobaholics is getting solid feedback from clientele. Yelper Christine T. added, "This is a solid place to grab some boba. The atmosphere and the interior design makes the restaurant a cozy place to chill with friends." Interested? Stop by to welcome the new business to the neighborhood. 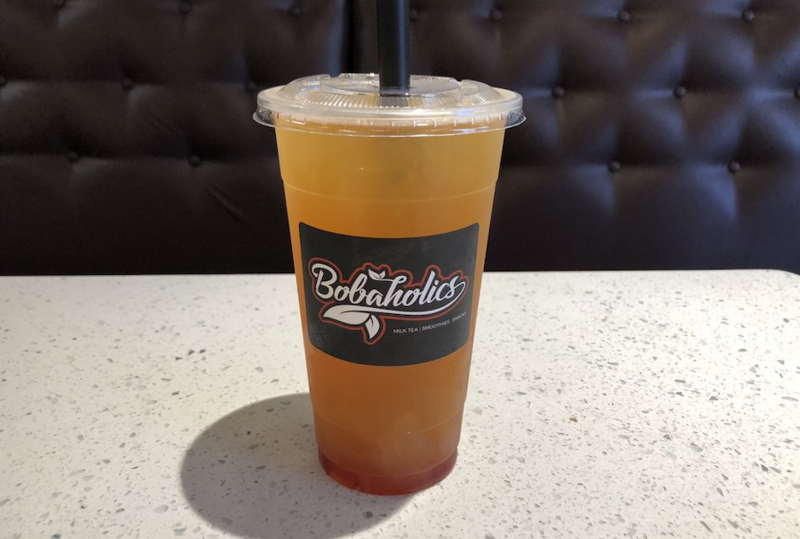 Bobaholics is open from 11 a.m.-11 p.m. on Sunday-Thursday and 11 a.m.-1 a.m. on Friday and Saturday.